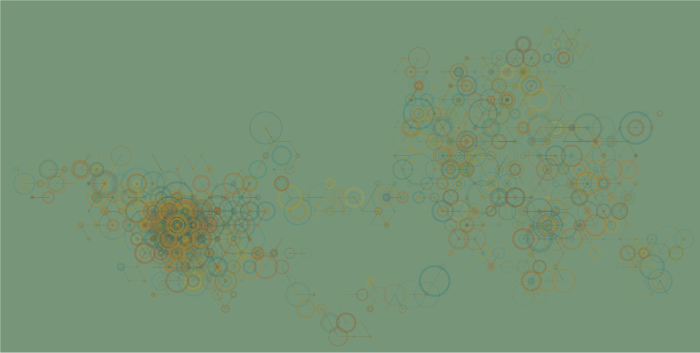 The following piece is based on a random walk with attractor. First an origin is chosen; the further a random step takes the walk away from the origin, the less likely that step is to be chosen. There are many ways to define "less likely" — if too unlikely, the walk always stays very near the origin, while if not unlikely, the origin is indistinguishable. In Escape, the wandering path away from the origin (below) and its eventual return (above) are distinctly visible.